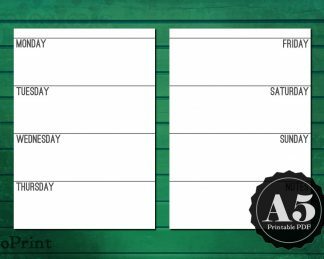 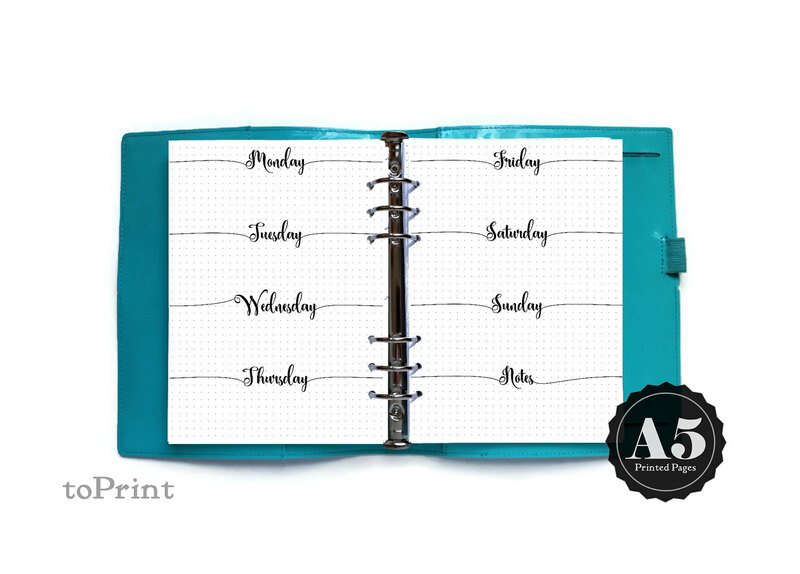 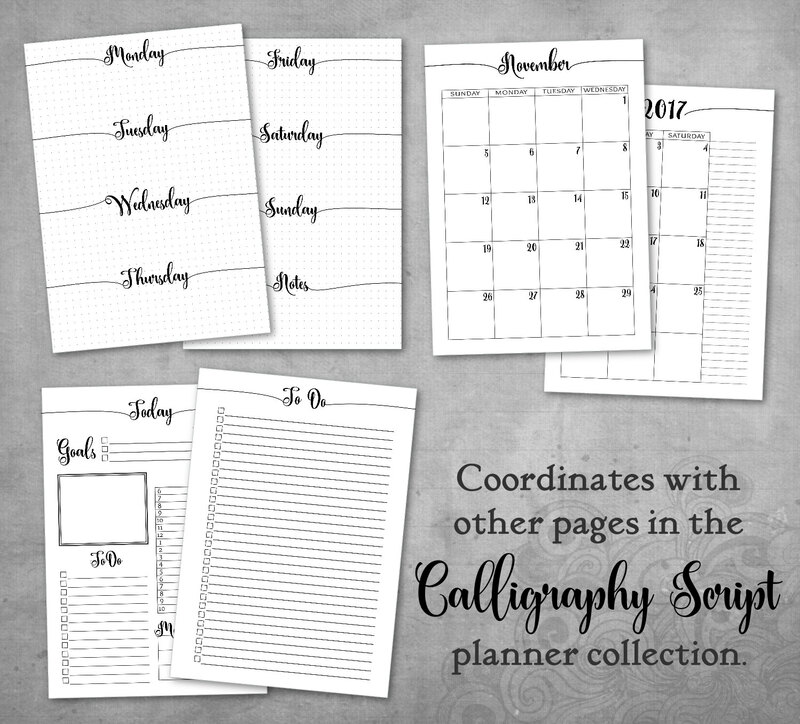 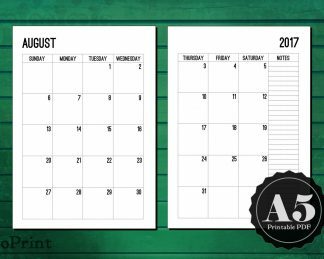 These Weekly Calligraphic Script Planner Spreads are A5 sized sheets which have been printed, cut, and hole punched to fit in many common A5 6-ring binders. 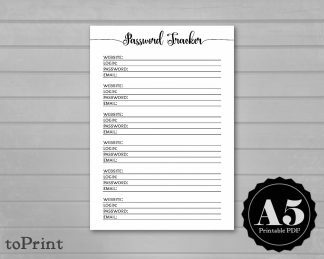 They are printed on high quality 32 lb bright white paper. 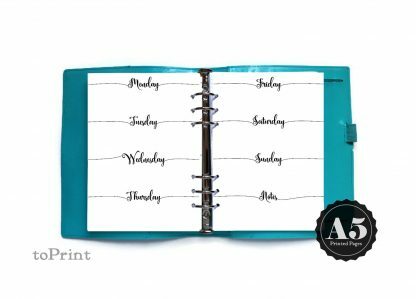 You can choose to upgrade to premium heavyweight 65 lb paper, a cover-weight paper that can handle nearly any pen or decoration without bleeding or ghosting. 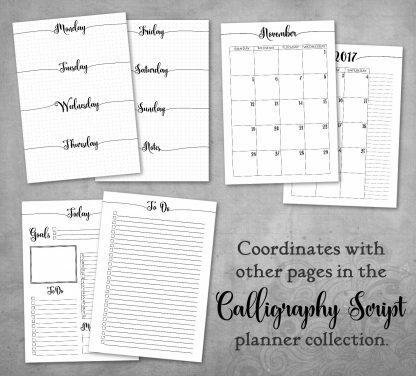 Choose from blank (no grid), 5mm square grid, or 5mm dot grid backgrounds. These inserts are undated.